Looks like we may have a new addition to the fold, heathens! 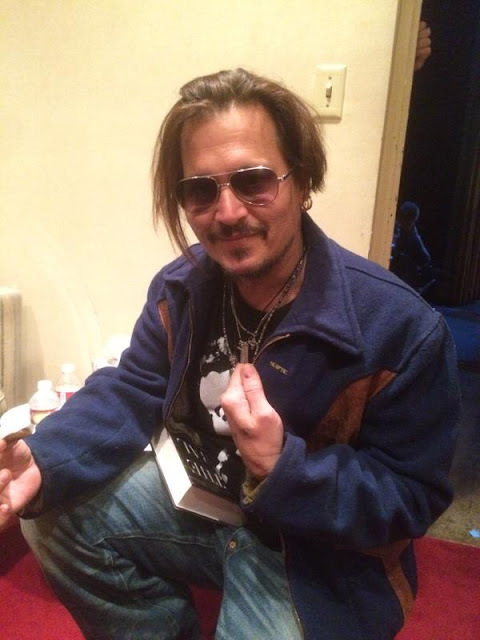 While skimming through Twitter last night, I spotted this picture that writer, founding publisher of Skeptic Magazine, and one of my personal inspirations, Michael Shermer, posted of Johnny Depp showing off a "SKEPTIC" pin and holding Shermer's new book, The Moral Arc — a study of how morality can naturally arise without religions help. I've not yet read this, but I have read many of Shermer's other books (my personal fave being The Believing Brain) and I can contest that they are extremely informative. Not to mention, they've greatly assisted in many of my own meager little articles (try not to let that last bit turn you off to him, though). Whether or not Depp would consider himself an "atheist", it's still unknown. But all evidence is pointing in that blasphemous direction. Which is good. This guy is extremely popular, so his addition to our little section of society could help out heaps in spreading our "good word". Granted, Depp may be one of the many sorts out there who consider atheism to be a belief that there is no god (as oppose to simply lacking a belief in god) and so may instead go by the agnostic label. I hadn't added Depp to the Celebrity Atheists & Skeptics List earlier due to the quote above not being entirely too clear. But mingling that with this new photo, a "skeptic" certainly appears to be what he is, regardless of whether or not he chooses to define himself as explicitly atheist. So here's to a BIG new addition to the Celebrity Atheists and Skeptics List, folks. To see the entire list, buy your own Skeptic pin, or get your own copy of The Moral Arc, click on one of the links below. 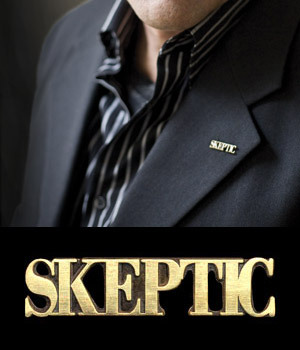 Buy your own skeptic pin here!